How long should tires last on a brand new car? Read more below. How Long Should Tires Last On A Brand New Car? Every single day, customers set out to lease or buy a new car. While some customers prefer used cars, others want only new vehicles. Getting a new car means getting a new car with new tires. New tires are usually premier tires from good companies. However, how can you tell when these new tires are old? What are the best ways to maintain brand new tires? How long should tires last on a brand new car? These are all questions that customers should ask. These are all questions that we want to answer here at The Car Addict. First and foremost, customers need to learn how to take care of their tires. Knowing the lifespan of a new tire is truly only half the battle. Especially because that lifespan can vary based on maintenance. As a matter of fact, even consumers reports point to the importance of proper tire care. Their information states that checking tire pressure and wheel alignment enhances the lifespan of a tire. So how long should tires last on a brand new car? It truly is up to you! Here at The Car Addict, we have plenty of tire information. Information on tire numbers, tire styles, and the best tires around. However, we know that customers sometimes need help learning about their brand new tires. So here is some information on how long should tire last on a brand new car and more! Again, the lifespan of a tire depends on many different factors. According to Michelin, this includes physical factors, the climate, road conditions, the frequency of driving, and so much more. As a result, customers should always pay attention to their mileage. Glance at your odometer every once in a while to see how far you have driven. Now, you do not need to jot down the mileage or do anything crazy. But, just check it every once in a while to watch out for tire age. Michelin recommends professional inspection after just five years of use. Furthermore, experts recommend replacing tires after 10 years regardless of the condition. Keep this in mind as you drive your brand new car with brand new tires. Especially if you notice any alignment issues and more. After all, this can accelerate the end of your tires out on the open road. Cars.com states that original-equipment new tires should last at the very least 50,000 miles. Again, pay attention to your mileage for that big 50,000 mark. Then, go to a local tire shop for an inspection and a replacement. No matter what you do, do not drive on tires that need serious maintenance. Any odd vibrations or rumblings should be noticed and inspected. Keep yourself as safe as possible out on the open road. How long should tires last on a brand new car? It all depends on how well you maintain and care for these tires. Across the country, drivers neglect and do not maintain their tires. This is incredibly unfortunate and unsafe. 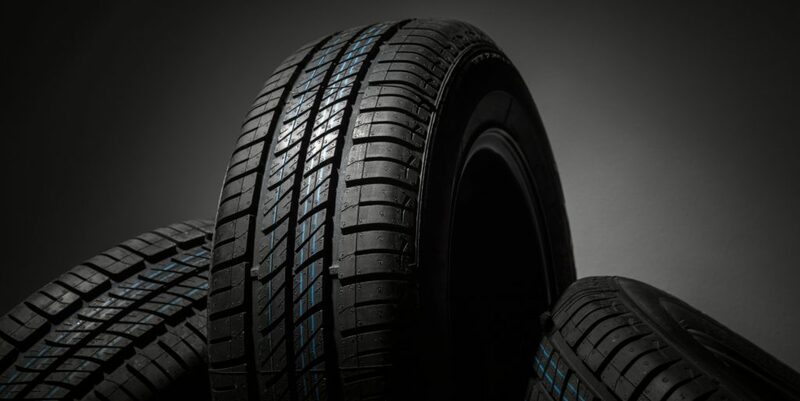 Tires are the source of handling, stability, traction, grip, and so much more. Without the proper tires, driving can become very unsafe and dangerous. As a result, maintaining tires does more than just expand the life of your tires. Instead, it also enhances your daily driving experience. Best of all, tire maintenance is very quick and easy! First and foremost, you should always keep tires properly inflated. Use the informational guide in your car to learn the right air pressure level. Then, check the tire pressure every single day. Some customers check every time they drive. However, you do not need to check that often. Once you pull into your garage after the workday, take a few moments to check the pressure. In new models, there is a system that automatically does this for you. So it is even easier to know how long should tires last on a brand new car! Now, you should not experience serious read problems in the first few months of driving a new car. As a matter of fact, a new car should always come with brand new tires. Therefore, you get plenty of mileage before the tread goes away. Experts recommend tire rotations every 5,000 miles to 8,000 miles. Tire rotation is another key to extending the life of your tires as well. Make sure you maintain your tires to get the most out on the open road. The best results always require hard work. But, this hard work is definitely worth it in the long run. Keep yourself safe and save money on getting emergency tires. The answer to how long should tires last on a brand new car is simpler than you would expect! Do not ignore or neglect your tires. It is one of the worst parts of your car to ignore. Proper tire maintenance is just as important as proper engine maintenance and caring for the brakes. Worn out tires can burst and fall apart while you are driving. As a result, you jeopardize the quality of your car and your very own safety. However, this is avoided through daily maintenance and scheduling appointments with mechanics. Lucky for you, new cars will do all of the hard work for you. As previously mentioned, most new cars feature a tire pressure monitoring system. This system automatically monitors the tire pressure on all four tires. Thus, you get constant readings right from your touchscreen or informational display. So you do not even need to get down and dirty to get the tire pressure readings. Avoid all of the hard work and let your brand new car get the right tire inflation readings. Then, adjust the tire pressure accordingly. How long should tires last on a brand new car? As long as customers maintain and care for the tires!